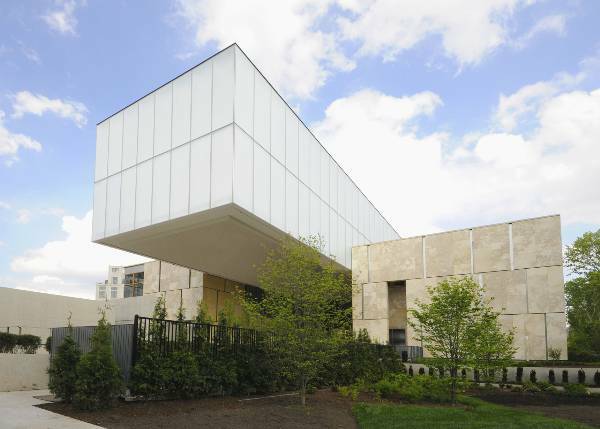 After years of controversy, the Barnes has finally opened in its new Philadelphia location. Has it stayed true to the vision of its brilliant, eccentric founder? The galleries were all empty of people, as I was getting a sneak preview of the newly installed collection before the hordes descended. The myriad masterpieces were all packed together as in days of old—a salon-style mega-hang that no one would ever dream of doing these days—arranged exactly as they had been in the dimly lit quarters of the old foundation in the suburb of Merion. It was a gathering of old friends, but those friends just happened to be buxom and ruddy Renoir women, delicate Degas ballerinas and narrow-faced Modiglianis. The building, of course, is entirely new, and the subject of the greatest art-world controversy of our age, bar none. 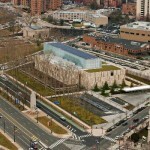 On May 16, the new foundation officially opened to the public, after years of wrangling and recrimination. 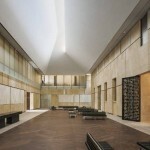 Architects Tod Williams and Billie Tsien had one of the oddest briefs in the history of structure-commissioning—make it exactly the same inside the galleries, from size to sequence to hang, but in a much better building in a choicer city location. The heightened sensitivity to the old arrangement (the product of a court order, no less) comes from the fact there isn’t a trove of beloved art like this anywhere else: More than 800 works that some have valued at $25 billion, though that seems like a lowball figure at this point. It’s stuffed with highpoints of Western art, particularly in the Matisse (59!) and Cezanne (69!) department, but El Greco and Tintoretto also get their due. Medieval metalwork, African sculpture, Greek incense burners and New Mexican retablos made the cut, too, and are paired strangely with everything else. It could only be the product of one man’s vision. Dr. Albert C. Barnes was a brilliant, obsessive collector—and also a grade-A cuckoo bird, a guy who wanted to limit access to his treasures so badly that when famed poet T.S. Eliot petitioned to visit, Barnes wrote him a one-word response: “Nuts.” He was equally emphatic about what was supposed to happen once he was gone. No foundation charter was ever clearer than that of Dr. Barnes: Don’t move my art—ever! What’s done, however, is done. 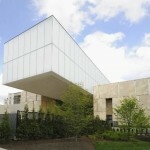 The Barnes raised more than $200 million—with three-quarters of that going to the move and the new building, and the rest to the endowment. I’m pretty sure that no amount of hand-wringing is going to get the pictures moved back to Merion. Now our task as art lovers is to evaluate the Barnes as it is, not as we wish it to be. I like it. Williams and Tsien have essentially designed two buildings instead of one. The first houses all of the art, since it had to replicate exactly the gallery dimensions of the old Barnes. The second houses all the modern conveniences that a museum has to have these days: a restaurant, plush offices, conservation labs, meeting spaces and an auditorium. These two structures are connected by an indoor courtyard—its high vaulted ceiling looks dramatic indeed—and at one end it leads to an outdoor terrace. The architects were handed an odd trapezoid of a lot, right on Benjamin Franklin Parkway, Philadelphia’s museum-lined main culture drag, and they made it work. The massive limestone panels on the buildings exterior fits into the context, but comes across as warm and modern, not standoffish and formal. Perhaps as an homage to Barnes’s secrecy and quirk, the entire sequence of entering the new museum is involves teasing and surprise. You don’t even see the front door until you’ve ambled past an allée of Japanese maples. And you don’t get to see any art until you’ve been through the first building, holding all the non-gallery amenities. You turn a sharp corner, go through another door and bam, you’re looking past the courtyard at a replica of the old Barnes mansion, and you can see bits of Impressionist canvases through the windows. “There’s a lot of peekaboo going on here,” is how Andrew Stewart, the Barnes’s head of communications, put it to me when he squired me on my tour. And as long as you’ve got the goods to back it up, that approach works. The Barnes definitely has the goods. And for the first time, you can really see them. “People will say we cleaned the paintings,” Derek Gillman, the Barnes’s president, said to me as I walked around. “No, we just lit them properly.” Picasso’s Blue Period The Ascetic (1903) is another work that now practically leaps off the wall and grabs you; formerly it looked wan. Gillman is adamant in particular about how the blue spectrum has been properly amped up, and he’s right. I don’t like Renoir that much, but now you can at least see how he employed the entire color spectrum in his supremely detailed works. The old Barnes was bathed in permanent twilight because the shades had to be drawn to protect the works; in the new building, special glass automatically filters 86% of the sunlight, including the most harmful parts, but enough is let in to change perception of the works, especially when combined with the high-tech savvy of contemporary indoor lighting. Perhaps the most famous of all of the Barnes works is Matisse’s site-specific mural The Dance, which he created at the patron’s behest. Matisse, never given to pulling punches in art or life, hated how it turned out. He didn’t like the paintings that were hung directly underneath it, or the decorative frieze than ran above it, nor did he care for the opaque glass Barnes chose on the windows; he wanted the nature outside to be present. Now, however, two of the problems have been corrected. The paintings are still there, but the frieze is gone and now the stunning greenery outside (courtesy of the Philadelphia-based firm OLIN) provides the perfect backdrop to Matisse’s elemental subject of bodies in a landscape. Two out of three ain’t bad. Attention to detail is everywhere in Williams and Tsien’s scheme. They designed a stunning bronze door through which visitors enter the gallery building, and the whole place is a symphony of tans, browns and creams. Texture reigns, from the hand-tooled limestone inside (the same as the exterior, but beautifully roughed up) to the silk-and-wool contemporary artworks in the restaurant, I found myself wanting to touch everything. The woods are rich and inviting, too. Oak is everywhere, and dark brown accent trim in the floor and everywhere is ipe wood, a rare type that can’t be harvested anymore. Incredibly, it was reclaimed from the old Coney Island boardwalk—the kind of eccentric touch that Barnes would have loved, I think. Perhaps the smartest move the architects made was to stage “interventions” in the galleries. Basically, they slightly elongated the plan of the building, so that even though the sequence of the rooms is the same, there are now a couple of extra breathing spaces that make the viewing of the works a little less Stendhal-syndrome–inducing. One is a classroom on each floor and the other is a Zen-like contemplation space looking out at a tree in an atrium. In this latter space, a bench provides mental and physical respite from what can be an overwhelming experience. The entire time I was in the new foundation, I was thirsty and wanting a bottle of water. It’s quite a meal to digest. Does everything work perfectly? No. There will always be an inherent awkwardness in the plan, what with keeping Barnes’s arbitrary (and at times brilliant) scheme alive and adding a workable modern building to the mix. But the art looks great, and now maybe even the move-haters will slip in unannounced for a peek at these treasures. After all, even Matisse didn’t get everything he wanted.